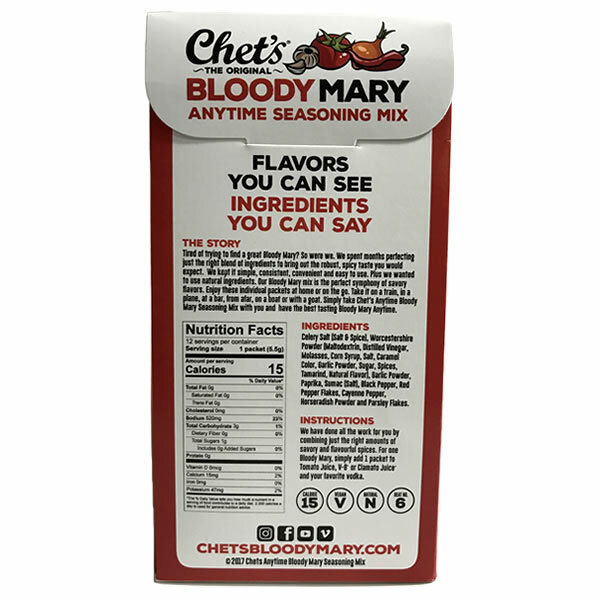 Chet’s Anytime Original Bloody Mary Seasoning Mix 4 Ounce Tin (113.5g). 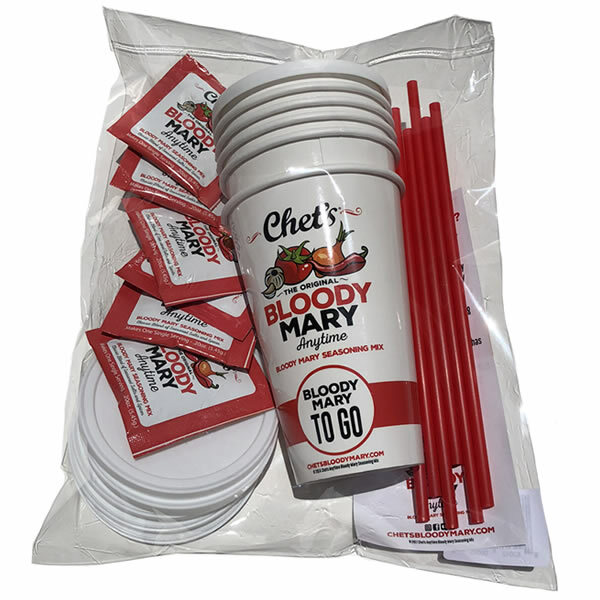 Makes 20 Bloody Marys! 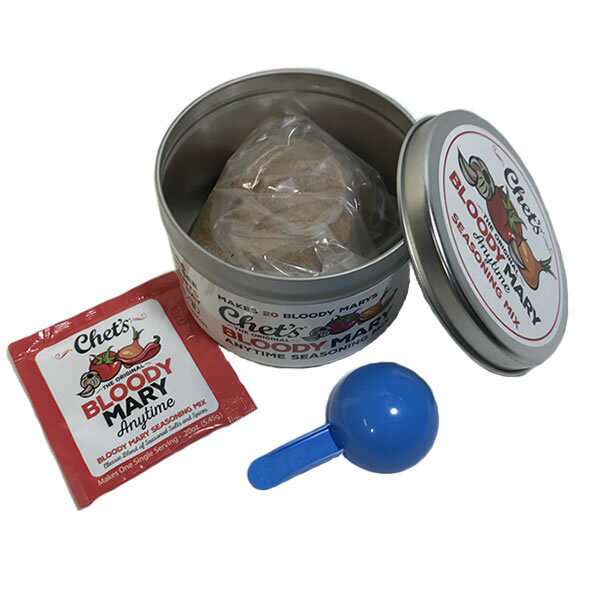 With Chet’s Bloody Mary Seasoning Mix 4 Ounce Tin, you can make 1 Bloody Mary or 1 Quart of Bloody Mary Mix. 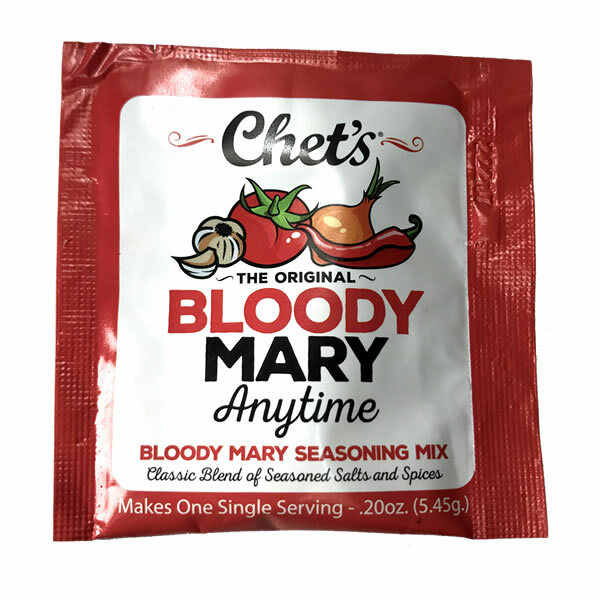 We have done all the work for you by combining just the right amounts of savory and flavorful spices. 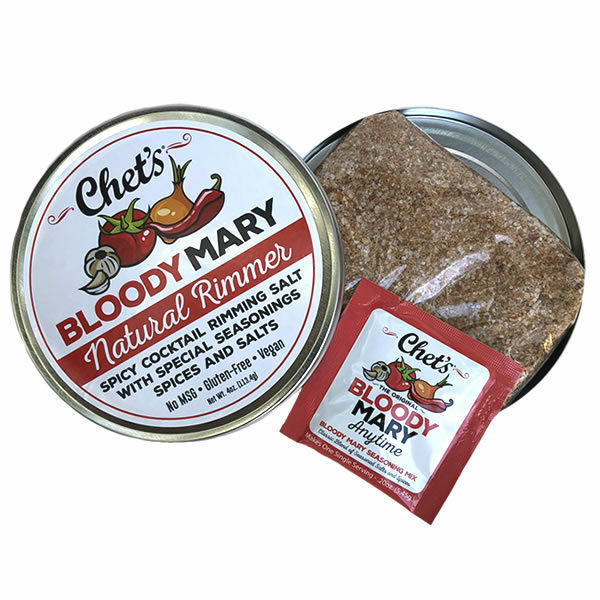 Our 4 ounce tin comes with it’s own single serving scoop. 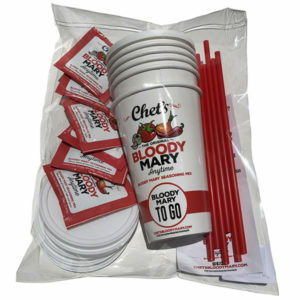 Do you want to make 1 Bloody Mary? 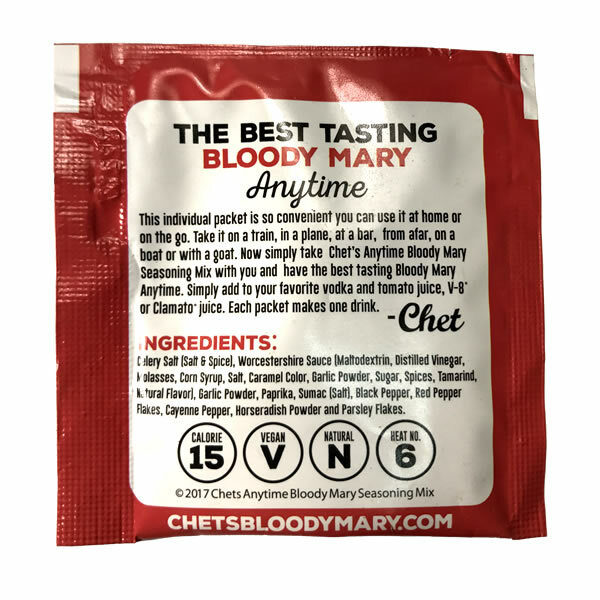 Simply take 1 scoop and add it to Tomato Juice, V-8® or Clamato® Juice and your favorite Vodka. 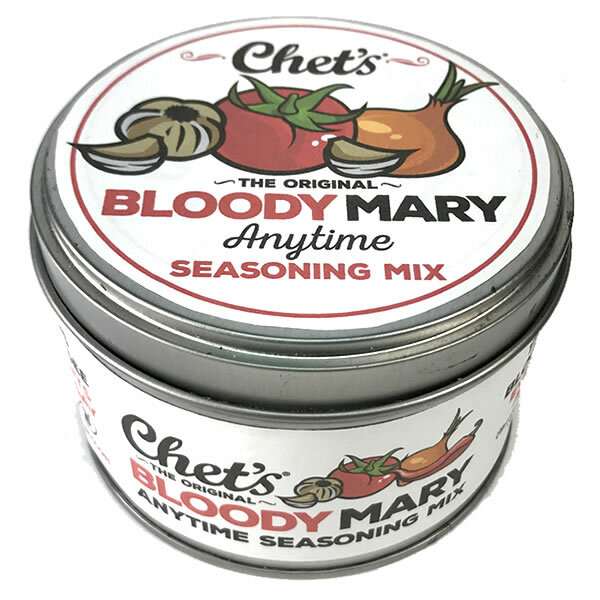 Do you want to make 1 quart of Chet’s Anytime Bloody Mary Mix? 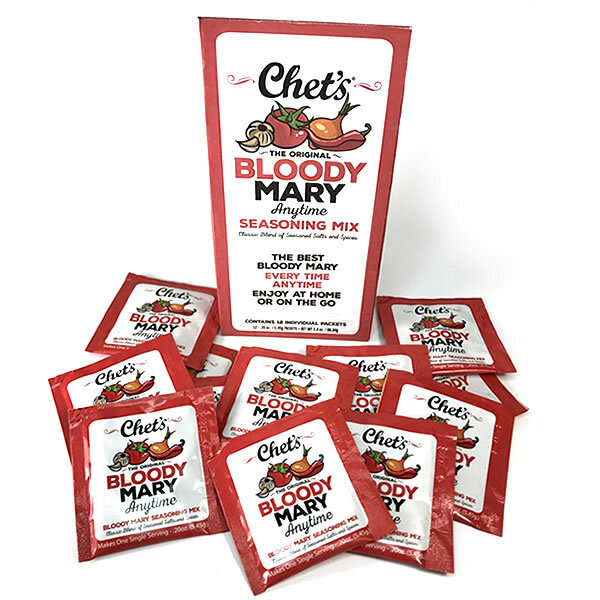 Take 5 scoops of our tasty mix and add it right to the tomato juice of your choosing. Boom. 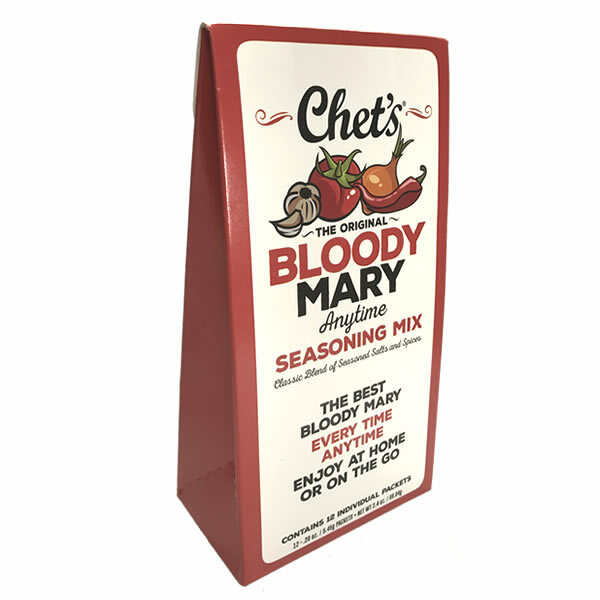 You have 1 quart of mix ready to go! Chet’s Bloody Mary Seasoning Mix 4 Ounce Tin has No MSG, Gluten-Free, Vegan, Non-Perishable, No Chemicals – Tastes Awesome! Simple, consistent, convenient and easy to use. 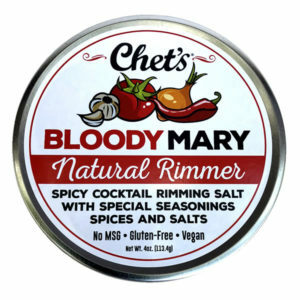 Just the right amounts of each spice is blended perfectly to bring out a Bloody Mary seasoning mix bursting with flavor. 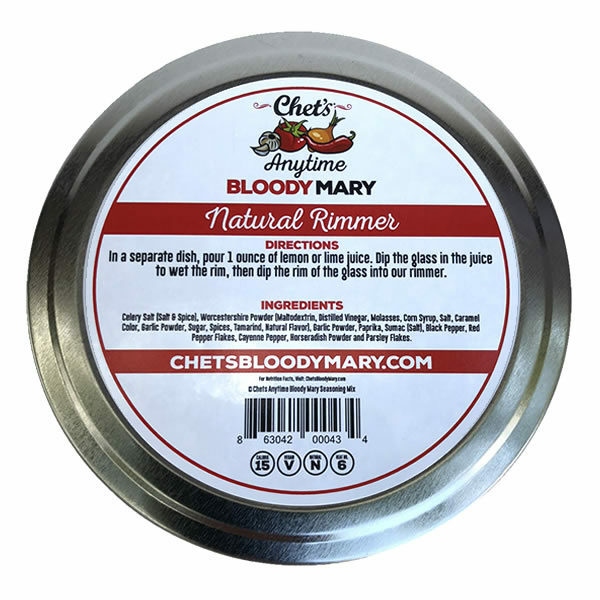 Click here to watch our video on using our 4oz. bulk seasoning.